When you’ve won the Ironman World Championship twice (in a row), there might be very little left that could challenge you. But what does triathlete superstar Jan Frodeno consider his greatest accomplishment? As it turns out, Frodeno is really good at a lot of things (being a dad included). He began his career as a swimmer, but transitioned into triathlons in 2000 and quickly rose to prominence in 2002 by qualifying for the German national team. In 2008, he secured a gold medal at the Beijing Summer Olympics and cemented his name as a household triathlete. He’s now preparing to defend his title once again at Kona in October. This Olympian trains as hard as he competes, and Frodeno has never been one to shy away during a session. But how does one even begin to train for an event that demands a 2.4 mile swim, a hellacious 112-mile bike ride, and a full 26.2 marathon with no breaks in between? It requires some complex performance metrics which he captures and analyzes on Wahoo’s tools. Since a triathlon is a multi-sport race, Frodeno uses the full line of Wahoo products during training. On his body, he wears the TICKRx Heart Rate Monitor to measure his HR during long endurance training. With no breaks between events, getting to a consistent heart rate across disciplines is critical. On the days he trains for the punishing bike ride of Ironman Kona, he’s utilizing his ELEMNT to control the KICKR along with the TICKRx to accurately track HR as well as other performance metrics in real time. Frodeno is the epitome of a Wahooligan. There’s no question. His work ethic and passion is a reason he plays a pivotal role into the design and development of Wahoo products. Through his efforts, we ensure they are tailored to the needs of the most demanding professionals; we want our products to always meet world class standards. We’re happy to have him join our team as a brand ambassador to push our training devices to peak capabilities. 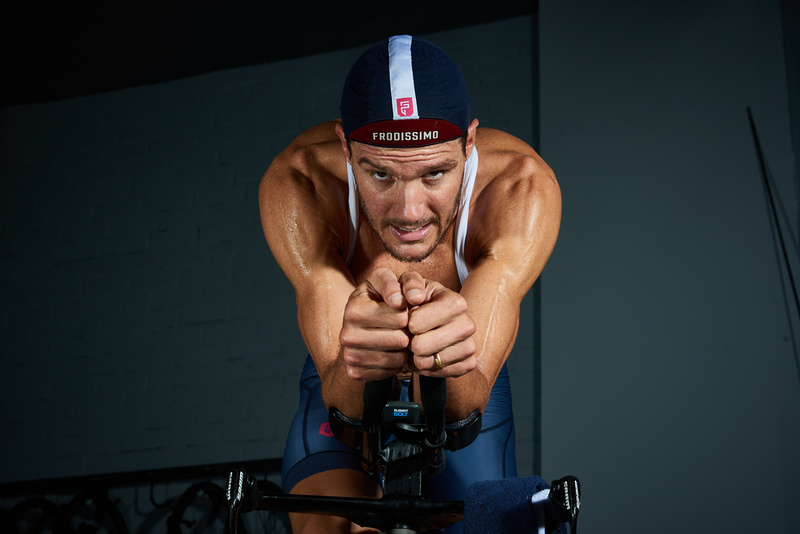 We recently sat down with Frodeno and asked him a few questions about his involvement with the Wahoo brand and what it means to be a top-tier athlete. Wahoo: What makes you a Wahooligan? Frodeno: I like to go my own way, push my limits, and, consequently, those [limits] of the ones around me. All while still being able to laugh about it and realize that [this] sport is the most beautiful hobby in the world. W: What do you consider your biggest professional accomplishment to date? F: It’s a hard choice to make on our sport [sic] between Kona and the Olympics, but I’d have to go with the [Olympic] Games. One shot in 4 years was pretty cool to nail. W: Do you have any race day rituals? F: Get up 3 hours before, have a coffee and some oats, have a stretch, and try not to freak out. W: What are three training tips you would recommend to athletes? F: Work consistently over huge days, maximize on your time (the first and last person to start/finish training did not necessarily have the best workout), and train the way you plan to race. W: What inspires and motivates you to keep pushing and striving for personal greatness? F: The idea of being able to improve after all these years. Going to bed better than when I woke up. 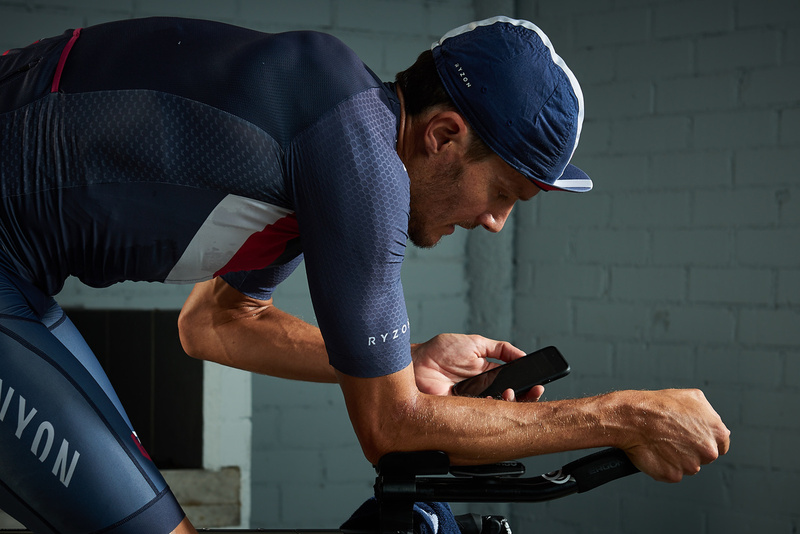 For more on Jan Fordeno, check out frodeno.com and learn more about the KICKR, TICKRx, and ELEMNT that he uses every day for training.